…the photographs on the walls showed scenes of unspeakable horror. It was impossible therefore not to become aware that the element of involuntary or unacknowledged voyeurism might be involved in looking at them. Momentarily, Jacobson wonders how “dedicated anti-Semites and other psychopathic types might respond to the bestialities displayed in the museum.” Then, even more horrified, he “suddenly realized that the worst of the photographs had been taken by the killers themselves…[or] their companions and accomplices.” Jacobson’s mixed reaction to these photographs is striking within the context of the book because his visit to Lithuania has mostly resulted in a disappointing absence of evidence of his grandfather and the rich Jewish culture that once existed there. Coming upon these photographs of the ghettos and concentration camps in the museum, Jacobson is bit like a thirsty wanderer in the desert who finally stumbles on an oasis only to find that the well is poisoned. Sadistic prurience was not a ‘temptation’ or a ‘danger’ for the photographers of the scenes on show here: it was precisely what had animated them. For some of the killers the taking of snapshots had served as a deferred means of gloating over their victim’s torments; it kept in prospect a renewal of the fun later, when such trophies could be hauled out for inspection by the photographers and their friends. But if that was the case, should their handiwork be put on display? Should we give them the satisfaction of tormenting their victims anew – and for ever – each time a visitor came into this museum, or any other like it? Jacobson does not explicitly answer this question (there are no photographs of any kind in Heshel’s Kindgom except on the just jacket). But while he is ponering such issues, a small group of tourists comes into the same room. One elderly woman stares at a photograph of starving Jews and armed Nazis in a local ghetto and she begins to speak to Jacobson. Jacobson watches as the woman proceeds to try to photograph the ghetto photograph with her camera. Clearly, for at least one person who, significantly, experienced the Holocaust, the Nazi photographs served as some form of evidence. Whether this made Jacobson is more comfortable with the exhibition of photographs he never says. Toward the end of Heshel’s Kingdom, Jacobson comes across evidence of a totally different kind. This is evidence left by Jewish prisoners being held in the infamous Fort IX in Kaunas, originally designed to protect the country from invaders, but used by the Nazis to terrorize and eliminate Lithuanian and European Jews. It is with this event that Sebald ends his book Austerlitz. In the bowels of the fort, where many thousands of Jews from all over Europe were held, tortured, and slaughtered, Jacobson comes across names and dates scratched into the walls between 1941 and 1944. “Max Stern, Paris, 18.5.44”, one says. Another reads “Nous sommes neuf cents Francais.” We are nine hundred Frenchmen. As evidence, these stark scratchings seem minor in comparison to the visible horror of the photographs Jacobson has seen, but he suggests that these simple attempts to be remembered, to be human, have a chilling veracity and authenticity far more powerful than documents made by the killers of these same people. I feel sure that Susan Sontag’s book Regarding the Pain of Others would address this topic, but neither I nor my local bookstore happen to have a copy. So I will leave that reading for another day. 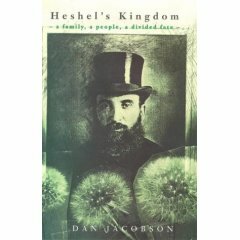 Heshel’s Kingdom, to oversimplify, is a blend of memoir, history, and travel writing, centered on Jacobson’s desire to understand more about his maternal grandfather Heshel Melamed, a village rabbi in Lithuania who died right after the First World War. This search ultimately leads Jacobson to Lithuania and an attempt to comprehend the fact that nearly every Jew in Lithuania was killed during World War II. Heshel’s Kingdom plays an important role in W.G. Sebald’s Austerlitz, which I wrote about recently. Look here for information in English on the Vilna Gaon Jewish State Museum (as it is now called); the museum’s own website is in Lithuanian. On the final three pages of W.G. Sebald’s Austerlitz, the narrator concludes his story of Jacques Austerlitz by summarizing a book that Austerlitz had given him earlier – Heshel’s Kingdom by Dan Jacobson. I recently finished rereading Heshel’s Kingdom after a lapse of several years and I was even more impressed the second time around. Sometime in the 1990s, when he was in his sixties, Jacobson finally went to Lithuania, accompanied by his son. Uncertain of what he will find and deeply afraid that the trip will not lead to understanding, he nevertheless plunges into visits to historical museums, Jewish cemeteries, the villages where his family originated, the sites where Jews were massacred by the Nazis and their local collaborators. At first he is puzzled and disappointed that almost nothing remains of the past he wants to find. But before he realizes it, his skepticism gives way to a vigorous engagement with the past. Small epiphanies draw him further and further into Lithuania’s landscape and its history. 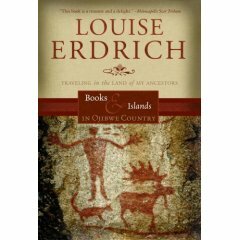 “How shaming it was that I had to visit the country where these things had been done, and go to some of the places where the murdering took place, to feel the horror of it so intently.” Jacobson’s ultimate realization – one obviously shared by Sebald – is that place matters. It makes no difference if a place is emptied of every sign of the past, stripped of every trace of its historical violence – place, in collaboration with the imagination, serves to make the connections necessary to understanding the past. So this is not a story in which a series of riddles is proposed in order to have them resolved in the last chapter, as in a detective novel. Nor is it one of a mystical reunion beyond the grave. On the other hand, I did learn something about my grandfather I had not expected beforehand; it had not even occurred to me that it might be possible to do so. Looking about me in Lithuania, searching for him in the midst of a devastating absence and emptiness, I was surprised to find myself grasping for the first time the full reality to itself of the obliterated community he had belonged to. Seeing him in the context of his vanished people, of the nation that is now not, I began to understand for the first time how it could once have seemed to him sufficient; as much as he needed; as much as a man like himself could expect to find on God’s unredeemed earth. It’s easy to see why Sebald was so sympathetic to Jacobson’s modest, almost self-denigrating voice, his willingness to turn minor events (even non-events) into moments of deep meaning, his abiding belief in the power of evidence, and his pessimism. “Evil can never be quantified or aggregated. It can only be inflicted and suffered.” And: “Only the globe’s most uninhabitable wastes remain wholly innocent and undefiled.” These are sentiments that run through Sebald’s writings, as well. Sitting by the moat of the fortress of Breendonk, I read to the end of the fifteenth chapter of Heshel’s Kingdom, and then set out on my way back to Mechelen, reaching the town as evening began to fall.